By 30 June 2018, SANY International’s sales revenue reached 2.196 billion yuan, a year-on-year growth of 82.9 per cent; gross profit reached 710 million yuan, a year-on-year growth of 78.9 per cent; net profit achieved 358 million yuan, an increase of 172.3 per cent over the same period of last year, exceeding the whole year’s performance in 2017. According to the announcement, thanks to the industry recovery and the expansion of the international market, SANY International has achieved significant growth from January to June 2018. Port machinery sales revenue reached 960 million yuan, a year-on-year growth of 43 per cent; energy equipment sales revenue reached 1.24 billion yuan, a year-on-year growth of 133.1 per cent, among which the sales revenue of excavation products achieved 395 million yuan, an increase of 300 per cent over the same period of last year. Benefiting from the significant growth of the sales revenues of excavation products and port machinery and the increase of gross profit, the Profit Margin Before Tax of SANY International was up to 20.3 per cent. Additionally, SANY International has achieved remarkable results in cost control, among which the management cost decreased by 3.4 percentage points to 14.9 per cent, the lowest level in the company’s history. 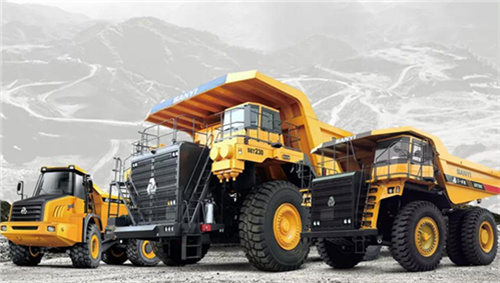 In the first half year of 2018, SANY International invested 85.2 million yuan in research and development, a year-on-year growth of 87.7 per cent. The domestic market share of SANY reach stacker has reached 64.1 per cent in the first half year, 4 percentage points higher than the end of 2017. The domestic market share of roadheaders rose to 56.4 per cent from 47.0 per cent at the end of 2017. Previous articlePyroban suggests its “Added Safety” system for explosion protection.